Made from Nama Hide&trade; Leather, this semi contact open palm glove is specifically designed for semi contact, full contact or bag work. Used in clubs across the UK, this glove includes an adjustable, elasticated, Velcro strap for perfect fit and comfort. 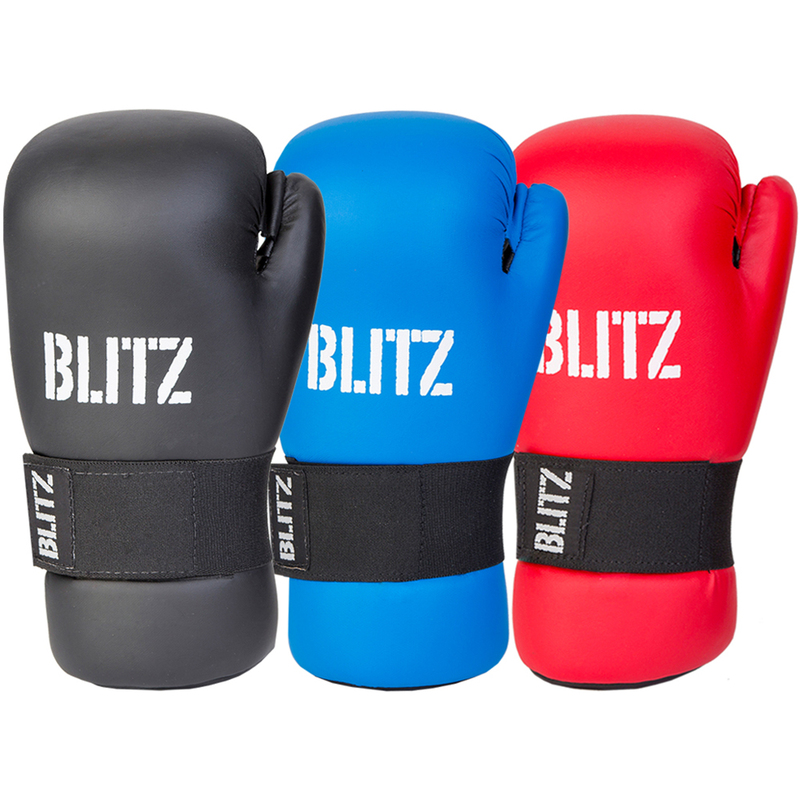 Leave a star rating or review of the Blitz Semi Contact Open Palm Gloves below to help other customers looking to buy Blitz .